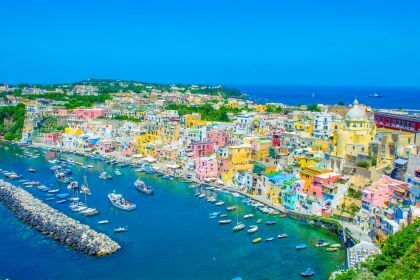 Call us now or contact your friendly Abberley charter broker here for assistance in planning a postcard-perfect yachting vacation in Naples and on the Italian Coast. 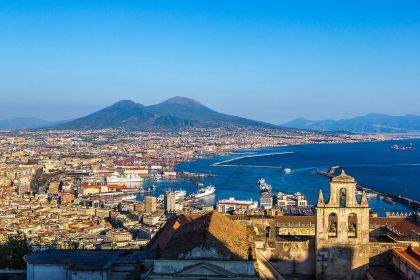 For the arts connoisseurs, Naples is a treasure trove of the works of some of Italy’s greatest Renaissance painters, including Titian, Caravaggio, Botticelli, Raphael and Bellini. 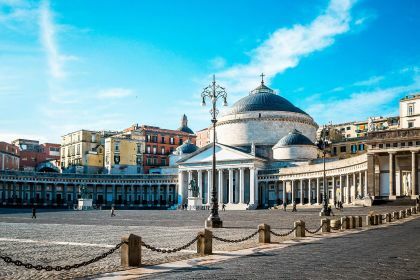 The renowned Naples Philharmonic Orchestra, with its world-famous conductors and musicians, is also a lure, as are modern art exhibitions and the renowned Archaeological Museum. Southern Italy’s most important event for bibliophiles, the Galassia Gutenberg Book Fair, is also hosted here. The city is also celebrated for its cuisine. Did you know, for example, that pizza was invented in this region? Neapolitans are therefore excellent judges when it comes to the quality of pizza. Former US President Bill Clinton famously enjoyed a tantalising pizza in Antica Pizzeria e Friggitoria Di Matteo. If your tastes lean to the exotic and unusual, you can try the fried pizza at La Masardona, or visit one of the spots frequented by the locals, such as La Campagnola Pizzeria & Trattoria. If your palate prefers a fine-dining experience and lavish décor, then Naples can accommodate that too. 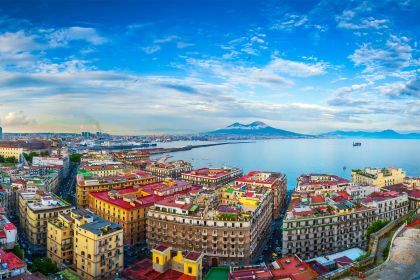 Try the shrimp in pea sauce – the signature dish at the Michelin-starred Palazzo Petrucci Ristorante, or book a table at L’Accanto – with its spectacular views over the Bay of Naples – and enjoy a delicious lobster and apple salad. Palazzo Petrucci, Il Transatlantico and Il Ristorantino dell’Avvocato are some other recommended options. When in Naples, a visit to the ancient city of Pompeii should top your to-do list. It is here that you will get a glimpse into the minutiae of daily life in a Roman city, and some real insight into Roman civilisation. Ash and lava from a Mount Vesuvius eruption flooded the city in the first century AD and Pompeii has been preserved intact for more than 1500 years. It was rediscovered towards the end of the 16th century, and extensive excavations revealed the daily lives of slaves, peasants, middle-class families and nobility. There is much to see and explore, such as perfectly preserved works of art, electoral messages, shops, villas, bars and brothels. House interiors are carefully preserved, and furniture, house utensils and ornaments of gold and silver can be seen just as intact as when the eruption occurred. Don’t miss one of Pompeii’s most impressive buildings: the Villa of the Mysteries, with its impressive collection of paintings and frescoes. The villa, a little known attraction, is a suburban villa located just outside the city. The best time to visit is late afternoon, as it is cooler and there are fewer people. You can visit the forum and baths relatively undisturbed.